Monday hasn’t got the best reputation, it’s the start of a new week and Friday seems miles away. While some may have a shorter week this week of Easter, but I on the other hand have one of the most stressful weeks of the year! Working part-time in a bakery when I’m home from uni has it’s perks, but when it’s season of hot cross buns and bread rolls, it can be a little bit stressful. We all know I’m a big advocate of self-care, and the beginning of the week seems like the perfect time for a few self-care acts, am I right? Here’s 5 self care acts you can do today to make this Monday a little less Monday-ish. I’m all for a social media detox. Sometimes I like to come home from work and not worry about promoting that blog post, going on a liking spree on Instagram or preparing my next post. Instead I like have a total switch off. Spend my time with my family, go for a walk or read a book. 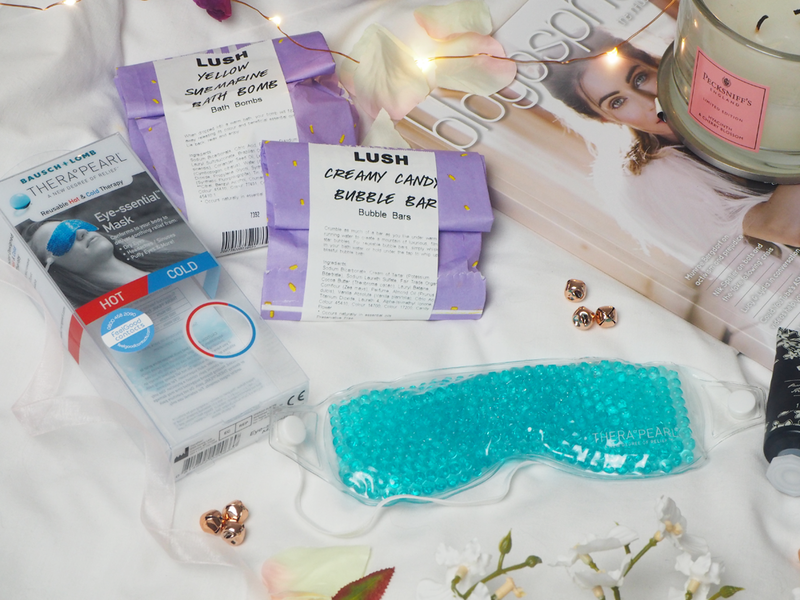 Everyone loves a good pamper, and an eye mask* from feel good contacts is the perfect pamper option for a Monday, especially after that shock-to-the-system early alarm you probably had. 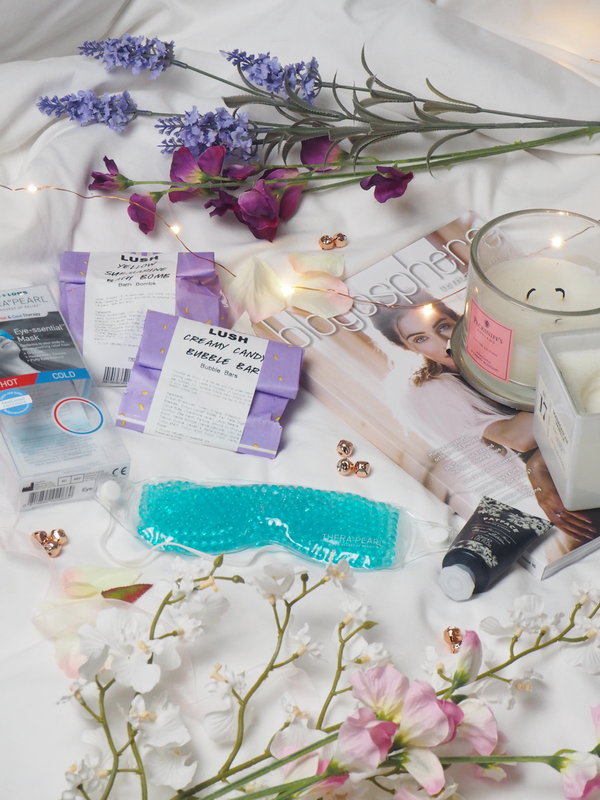 Getting up on Monday is always a chore, so treat yourself with a lovely hot or cold eye mask to sooth those puffy eyes! If you’re a contact lens wearer, maybe some of their contact lens range could be more suited. 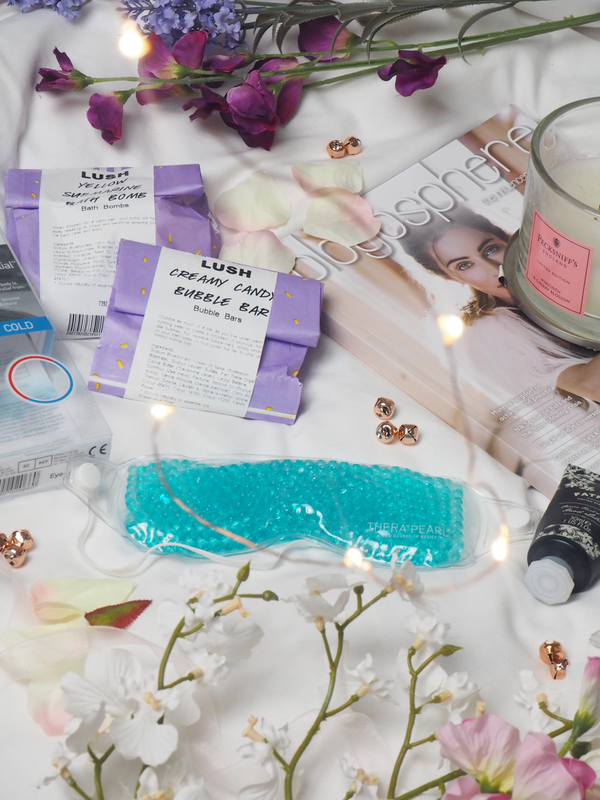 If you fancy 10% off your first order, make sure you use LOVEFG03, valid until the end of the month! If the week is going to be a hard one to pull through, why not bake yourself some treats to help you get there? Baking is the perfect stress reliever and you’ll have some goodies to munch on throughout the week too. It is Easter after all! Admittedly sometimes I want nothing more to be left alone on a groggy Monday, but sometimes it does me good to do a bit of socializing and catch up with my besties. Go grab a coffee and have a little gossip, it’ll leave you feeling one hundred times better! As much as I hate the idea of exercising after a day of work, I always feel so much better after a trip to the gym. If that’s not your kind of thing, maybe try an at home workout or something a little more calming for the mind like yoga or pilates. Just 20 minutes of exercise is sure to leave you refreshed and ready for the rest of the week! What self-care acts do you like to do during a stressful week? *This is a sponsored post. This post contained gifted items.